Happy new year from FortLUG! There are some exciting changes taking place this year and we want you to be a part of them! The first and most fundamental change has already occurred: the inaugural election of club officers. 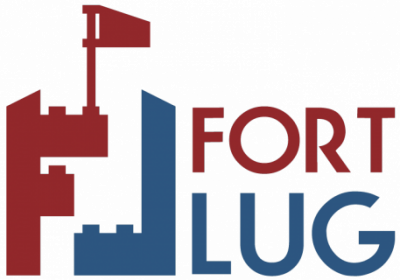 FortLUG has grown to the point where leadership is necessary to maintain order, guide the direction of the club, and help collectively navigate the more complex issues we’re beginning to face. It’s something FortLUG has discussed throughout most of the past year, with those discussions culminating in December’s ballot. I’m pleased to announce that Ed DeWitt has been elected FortLUG’s first club President, Geoff Ross (yours truly) has been elected club Vice President, Diane DeWitt has been elected to the Secretary position, and Brandon Cochren has been elected as club Treasurer. Caleb Fairres has also been elected as FortLUG’s first LEGO Ambassador. The LEGO Ambassador position is worthy of special note because its associated responsibilities aren’t defined by the club, but rather by LEGO itself. In an effort to engage the LEGO user community, they’ve formed the LEGO Ambassador Network, in which registered LUGs get to enjoy special benefits. These rLUGs must meet specific requirements to remain a part of the network and each rLUG’s LEGO Ambassador acts as the liaison to the network. FortLUG is interested in joining the LEGO Ambassador Network – which from the start has been a long-term goal for us – potentially later this year. Congratulations to the elected officers! I’m sure they will serve FortLUG well as it grows and changes in the immediate future. The five officers will be confirmed and installed in their positions at the meeting on January 6th.